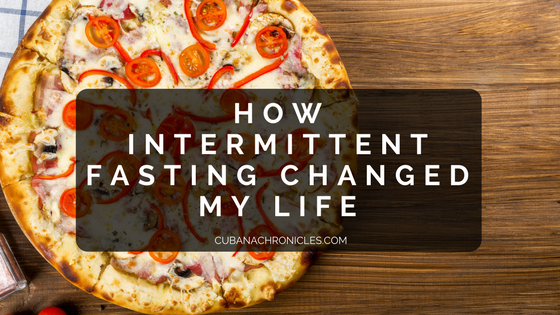 Intermittent Fasting Changed Weight Loss Journey! Before I get into this whole intermittent fasting thing, let me just say… It’s not for everyone! If you’re the type of person who likes snacking throughout the day from the moment you wake up to the moment you fall asleep – this is your nightmare. But before you click off, just know your body can adjust, or you can keep doing what you prefer. I don’t lose any sleep at night over it. It’s this whole concept where you set an eating window timeframe and if you’re not in your timeframe, you don’t eat. Simple! 16/8 (aka Lean Gains): You fast for 14-16 hours and eat for 8-10 hours. My body naturally follows this pattern, lucky me! 5/2: You eat normally for 5 days and restrict your calories to 500-600 calories for 2 days. Eat-Stop-Eat: Eat normally, fast for 24 hours, eat again. Usually you would only fast once or twice a week. Warrior Diet: You would fast for 20 hours and have a 4 hour eating window, typically at night before bed. Why in the hell would I starve myself?! Woah now, Negative Nancy. Let’s not get crazy. You’re calories should still target the same weekly average you’d need to lose weight, maintain, or bulk. Plus, starvation mode doesn’t happen from skipping meals or fasting for a day or two. It happens with prolonged circumstances. Which isn’t happening here, you’re still eating! Anywho, intermittent fasting can help you because it’ll force your body to use stored fat as energy. What the heck is this sorcery?! If you do anything that requires energy, your body will use that energy it just finished getting from food. Got it? Good. When you’re fasting, your body doesn’t have this energy at the ready. So? Your body is more likely to look at your fat cells, break them down into usable energy, and there you go! Fat burning. What does a typical day of eating look like? For me, my body naturally fasts. This sounds crazy, but I don’t just wake up in the morning starving. I never have! Right when I wake up (and all throughout my fasting state) I can drink water, tea, or black coffee (no creamer!) or any zero calorie (or close to it) drink. Around 2:30pm-4pm I’ll break my fast with my superfood breakfast and go on with my day. Around 5:30 or 6-ish I’ll have a snack, think something like a banana, an apple, some berries, cantaloupe – you get the idea. This will usually hold me over another two hours. That means around 8ish I’ll be hungry, so I’ll pull out a ground turkey meal, heat it up, and good to go! By this time I try to have drank 34 ounces of water, which isn’t so bad. As long as I have a straw, I just keep sipping! Usually by the time 9:30 or 10pm rolls around I’ll have my “dinner” meal (Chicken) and keep drinking my water. Finally, at 11 or 11:30 I’ll eat a little bed time snack – which could be more fruit, pretzels, low calorie ice cream, eggs, anything! I just fit it into my macros! Then I’m off to bed and “fasting” until the next day (which means I’m fasting for 15-ish hours)! That’s fine! It’s not for everybody and that’s ok. Some days I don’t intermittent fast at all! Other days I intermittent fast, but I have 2 big meals instead of meals and snacks. It literally depends on my mood and how my body is feeling! In the end, you either give it a try and hate it, love it, or don’t try at all. It’s up to you! This is just one tool that helped me with my weight loss journey – and I FREAKING LOVE IT!! This is so interesting! I’ve never heard of it before but now totally understand it. While I don’t know if it’s totally for me, it does make me want to be more mindful of when my body is truly hungry instead of eating just because I feel it’s time to eat. I am all in. I got fed up with all the counting…..points, calories, macros! I can’t deal. Just eat in what window of time you choose. Eat sensibly. Drink water. Get some exercise. I do two 24-hour fasts per week (6 pm-6pm). It’s something I feel like I can keep up for the long term. Weight loss is slow but steady. What’s your opinion on the 24hr fasts? Is it hard and then you get used to it? It was a bit difficult to begin with maybe because I didn’t ease into it like many experts recommend. Once you realize you are not going to starve to death, it gets easier. Stay busy. Plan your one meal carefully. I’m sure I would lose weight faster if I counted macros but I tend to fail at that quickly. Wonderful goods from you, man. I have consider your stuff previous to and you are simply too fantastic. I actually like what you’ve got right here, really like what you’re stating and the best way wherein you assert it. You make it entertaining and you still take care of to keep it wise. I can not wait to learn much more from you. That is actually a wonderful web site. Thank you soooo much!! I’m trying to keep things a little informative, don’t forget to subscribe! Howdy very cool website!! Man .. Excellent .. Superb .. I’ll bookmark your website and take the feeds also…I am satisfied to find so many useful info right here in the submit, we’d like work out extra techniques on this regard, thanks for sharing. . . . . .
Hello there! I just noticed your site and I truly love it. I also love to focus on Arvind Pandit Kansas from time to time. Good to be here, thanks! I frequently look over your content carefully. I’m furthermore curious about best root apk, maybe you could discuss this occasionally. See you soon. Thanks for this awesome article! I seriously appreciated finding out about it.I’ll make certain to save this blog and will come back very soon. I wish to encourage you to definitely continue your nice work, possibly try to think of mobile phone covers too, have a superb afternoon! I am really curious to understand which site platform you’re working with? I’m experiencing several small protection challenges with the most recent site regarding outdoor intercom system so I would love to find one thing far more safe. Have you got any recommendations? Attractive section of content. I simply stumbled upon your web site and in accession capital to claim that I acquire in fact loved account your weblog posts. Anyway I will be subscribing to your augment or even I success you get entry to constantly fast. There is remarkable developments on the layout of the page, I truly like that! Mine is regarding free instagram followers and presently there are plenty of stuff to do, I’m still a starter in web development. Take good care! Hey, you’re certainly correct. I frequently read through your content attentively. I’m likewise interested in free tv shows, maybe you could discuss this at times. Good bye! You are totally right, I would really like to find out more on this issue! I’m as well interested by accident lawyer since I consider it is very cool presently. Keep this up! You are certainly right and I trust you. When you want, we can also talk about pokemon go new version, one thing which fascinates me. The website is impressive, all the best! Great post! I really enjoyed how you broke down the different kinds of IF. I hear about it often but never realized how many types there were. Thank you!! I definitely thought it was a little overwhelming when I first heard about all the different types of IF haha – I didn’t even know I followed IF at first! I’m very pleased to find this site. I need to to thank you for ones time due to this wonderful read! !